Harrogate International Centre (HIC) has announced that it will host several major conferences within the next 18 months, beginning in June with the British Medical Association (BMA) conference. 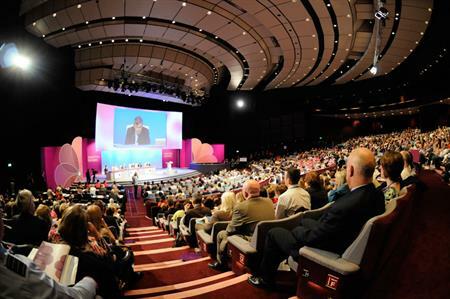 The first ever Royal College of Physicians (RCP) conference will take place in March 2015 with the National Union of Teachers (NUT) conference arriving at the venue the following month. The HIC recently announced that it will also host the Building Society Association (BSA) conference in May 2015. Victoria Wilson, HIC deputy director, said: "The NUT, BMA and RCP events alone will bring in thousands of visitors to HIC and will be a real boost to Harrogate’s economy as a whole, as well as raising the profile of HIC in the UK. "The most encouraging thing is that many of the contracts we have signed in the first quarter of 2014 have been new events or customers returning to HIC after a period elsewhere. "I know there are general signs of recovery in the events industry, but we aren’t counting on that alone and we are working hard to secure new business." In January the HIC announced that it will be targetting more small-scale events, such as board meetings and seminars, in 2014.